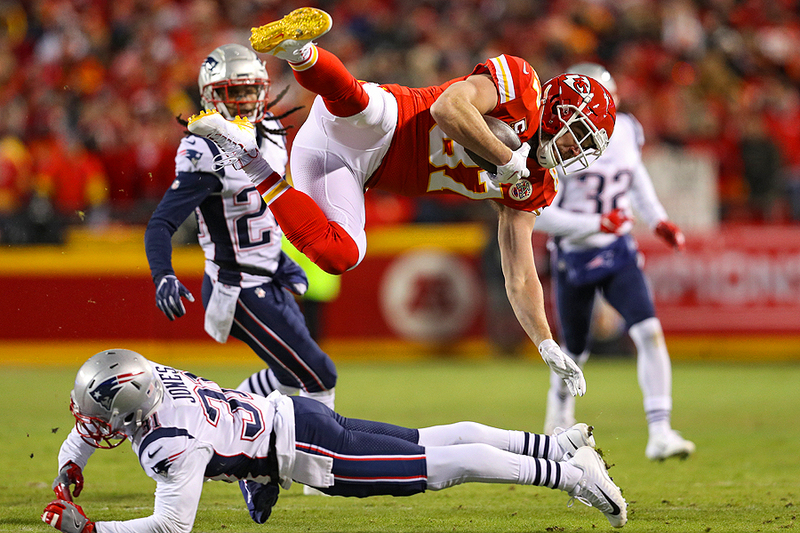 "Travis Kelce #87 of the Kansas City Chiefs is tackled by Jonathan Jones #31 of the New England Patriots in the first half during the AFC Championship Game at Arrowhead Stadium on January 20, 2019 in Kansas City, Missouri." It's down to the nitty-gritty in the NFL season and everyone is on edge. From wild-card weekend to the AFC and NFC Championship games - teams are doing whatever it takes to get to the Superbowl - including the New England Patriots. The Patriots rallied back to defeat the Kansas City Chiefs on their home field to advance to the Super Bowl yet again. Looking forward to the big game in Atlanta next weekend and hoping for another exciting finish as they have been in recent years.